Luxuriously warm and plush, this cowl infinity scarf is inspired by the Outlander novels and TV series. This is my adaption of Claire's cowl scarf. It is ultra warm for those really cold days. 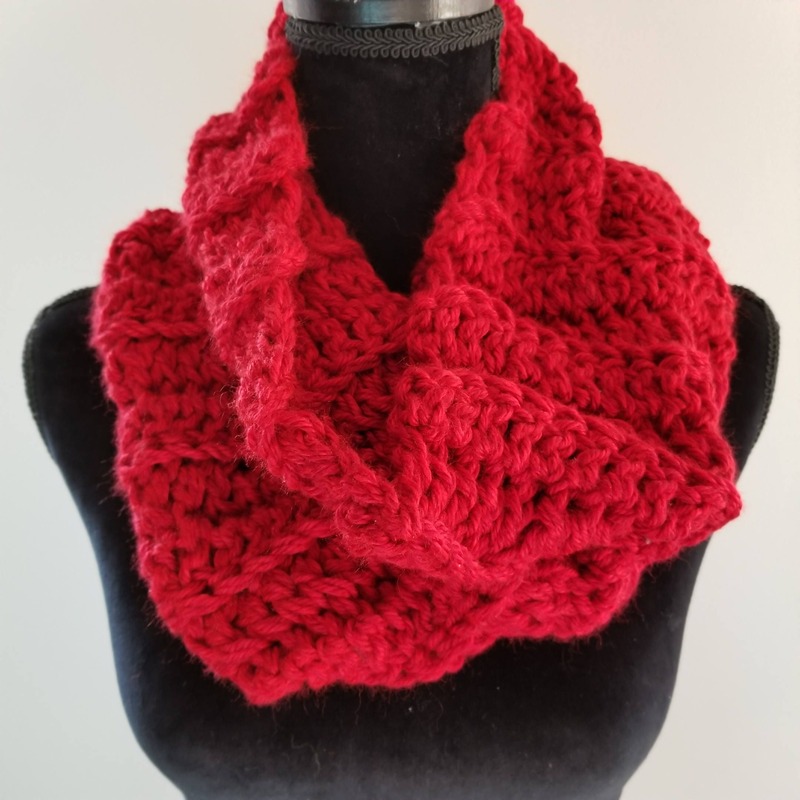 A bit warmer than the other Outlander inspired scarves in my shop since this scarf is crocheted with two strands of yarn throughout. Looks great peeking out from your coat or jacket. Exquisitely handcrafted in a very soft red acrylic yarn and measures 28 inches in circumference and 13 inches in height. Treat yourself and keep warm!! Beautiful worn snuggly or down loose. As this is a custom order, please allow 1-2 weeks before shipment.